William Lynch’s life spiraled out of control in the 35 years since he alleges he and his brother were molested by a Jesuit priest: He struggled with depression, had nightmares and tried to kill himself twice. Authorities believe that anger and pain erupted when Lynch lured the Rev. Jerold Lindner to the lobby of his Jesuit retirement home by pretending he had news of a death in the priest’s family and beat him severely in front of shocked witnesses. Lynch, 43, was arrested Friday and booked on suspicion of assault with a deadly weapon for the May 10 attack. He was allowed to post $25,000 bail and will plead not guilty at an arraignment sometime next month, his attorney, Pat Harris, told The Associated Press. Lynch punched the 65-year-old priest repeatedly in the face and body after Lindner said he didn’t recognize Lynch during a confrontation at the Jesuits’ Sacred Heart retirement home in Los Gatos, said Sgt. Rick Sung, Santa Clara County sheriff’s spokesman. He snapped. Bearing the horror became simply too much and he reached his breaking point. We all have one. We all do. The worst part? None of it was necessary and all of it – all those years of pain – could have been avoided if the priest had acted like a man of God instead of an animal. That’s Joel Watts third from the left. Now that the rally’s over, everything can return to normal and the government can go on about its business utterly indifferent to the wishes, wants, desires, and ideas of the vast majority of Americans who are neither witches nor ultra-liberal wankers. Sanity, after all, can’t be ‘restored’ when the people running the asylum are crazier than the inmates. Let the uber-hyper-ultimately-oversensitive-humorless feminist carping begin. If you get a package from Yemen, don’t open it. Our blogging colleagues are gearing up for Atlanta as well as trying out their costumes for this evening… Be disturbed, be very disturbed. Those who stand by silently when untruths are uttered or misinformation spread allow liars to set the agenda and frame the narrative. Halloween is on Sunday this year and unsurprisingly some churches are canceling their evening services so that the kids and their families can participate in the door to door beggery. Driving into Oak Ridge the other day I saw a Church sign (on a Church of God, thankfully – and not a Baptist Church): ‘Join us Sunday Evening for Trunk and Treat’. So I called. ‘Yes, our regular services are not being held so we can devote our attention to our special activity’ said the friendly woman on the other end. What about that… It was bound to happen. Churches are already canceling services for Christmas and Super Bowl Sunday, so why not cancel worship so you can toss candy to kids who- in America- are already overweight and have poor dental hygiene as it is. Nothing says the love of God like abandoning worship for candy. I suppose the rationale is that if you give kids candy you’re showing them how much God loves them and wants them to be fat and have rotten teeth. Perhaps ABC and CNN and Fox and the other networks can just do a series of reports on all the aspects of American security that are lacking. Post the list online too. That way, instead of trying to figure it out for themselves, the terrorists can just go to http://www.heres-where-we’re-lax.com and find all the ways in which to sneak weapons and persons in to do us harm. The discovery of U.S.-bound mail bombs reveals the vulnerability of air cargo, which is governed by a patchwork of inconsistent controls that make packages a potential threat even to passenger planes, experts said Saturday. Companies that regularly do business with freight shippers are allowed to ship parcels that are not routinely subjected to X-Ray or sniffer dog checks, said Philip Baum, editor of Aviation Security International. Packages placed on passenger flights are supposed to be checked for explosives but screening protocols differ greatly from country to country, analysts said. There ya go. Nice work, AP. Next, how to build a device that evades lax security. Brought to you by your friends at CNN. Imagine paying over $1000 for an idyllic wedding on a pristine Maldivian beach only to be debased verbally by vile inhabitants. That’s what happened to a couple of Swiss tourists. The Maldivian government has apologised to a European couple abused as “swine” and “infidels” during what was supposed to be a romantic renewal of wedding vows in the Indian Ocean archipelago. The Maldivian ambassador in Geneva conveyed to the couple the government’s “profound and heartfelt apologies,” the government said Saturday. “Ambassador Iruthisham Adam from the Maldives embassy in Geneva personally telephoned the couple, who asked to remain anonymous, on Friday to extend the government’s profound and heartfelt apologies,” a statement said. A video of the ceremony said to have taken place on October 11, during which the hapless couple were taunted and subjected to insulting and religious-tinged abuse, was posted on YouTube two weeks later. The video has sparked fears for the country’s tourism-dependent economy. The moral? Don’t let anyone perform any ceremony in a language you don’t understand. Halloween? 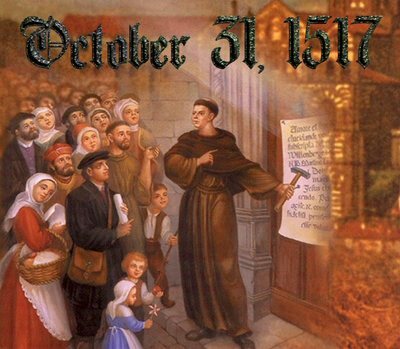 That’s not a ‘holiday’- Reformation Day- now that’s a day worth noting. Don’t waste your time on Halloween- give thanks instead for Reform. Bibliobloggers don’t just live in strange houses- they have very strange bathrooms! Comedy Central funnymen Jon Stewart and Stephen Colbert will hold rallies on the National Mall Saturday, putting a satirical spin on partisan politics three days before midterm elections. 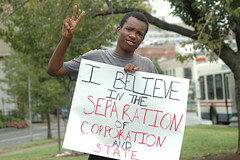 Stewart’s “Rally to Restore Sanity” and Colbert’s “March to Keep Fear Alive” are scheduled to start at noon. They announced the rallies in September, less than three weeks after conservative talk-show host Glenn Beck hosted a much-publicized “Restoring Honor” rally on the National Mall, urging large crowds to “turn back to God” and return America to the values on which it was founded. Whether the rally is comedy or politics really doesn’t matter. What matters is that a lot of people will have something to do today. Otherwise, they’d just be watching football (which is what I’m going to be doing- oh, and posting from time to time just to gall folks). At any rate, whatever you decide to do today, enjoy!